Amsterdam is the Dutch capital, and their most populous city. As a startup hub, the city experiences an international mix, and due to its transient nature it experiences continual reinvention which is great for startups wanting to experiment with new ideas, and scrap ideas that don’t work with less fear or guilt. The city is appealing to entrepreneurs with its lack of restrictions, simple tax structure, and ease of incorporation. Tiqets is an innovative ticketing platform found in Amsterdam in 2013. Have you ever been in a line for a big museum or attraction like Sagrada Familia in Barcelona, Louvre Museum in Paris or the London Eye in London? Then you know how expensive and time-consuming it can be to enter those emblematic places. Tiqets is revolutionizing the way visitors discover, buy and use tickets for museums, shows and attractions. The headquarters are near Amsterdam Amstel, though they have team members and offices in Spain, Austria, Italy, France, and the US. The mobile ticketing platform was named the fastest-growing Dutch startup of 2016 by The Next Web and Adyen in their annual Tech5 competition. WeTransfer is a startup found in 2009, it has now grown to have 85 million users per month and sent one billion transfers in 2015. The company is joining companies like Spotify and Apple Music. WeTransfer chooses to focus on doing its one job very well. “We’re just a really simple file-sharing service, and people actually like it.” The success of the company is based on an efficient marketing team driving revenue behind the scenes. WeTransfer has reached profitability of $125 million in 2015. Preeby is a free app and has over 100K members in 20+ European cities. The App was founded in 2011 and has raised around 2.5M now. Preeby helps you borrow things you need from people in your neighborhood. Both the borrower and lender are covered against damage or loss by a daily fee paid by the borrower. Psatbook was founded in 2011 with the purpose to help users collect photos from social networks and develop personalized albums that can be printed. The Dutch start up allows you to choose photos from your social media accounts (Facebook, Instagram, Dropbox, Flickr, Google Drive, etc.) Pastbook offers fast worldwide shipping, delivery within 7-10 business days, you can pay by PayPal or credit card. The startup has announced a new investment round of approximately €1.7M euros to support its international expansion in 2017. Insided is a leading provider of community engagement technology and services. The CRM helps forward-looking companies to improve customer intimacy, advocacy and profitability by fostering online conversations at every stage of the customer life cycle. It has raised €6m in a series A round led by Ventech, with Fortino Capital and henQ. Founded in 2010, TravelBird is an Amsterdam based startup expanding to 11 markets across Europe. TravelBird is a mix between Groupon and Booking.com, offering daily travel package deals to subscribers; 2,5 million customers have travelled with TravelBird already. Travelbird guarantees the most comfortable booking process and uplifting customer journeys. They offer amazing working conditions, like an amazing office in the heart of Amsterdam, trainings, yoga and bootcamp lessons, international environment and more. Amsterdam is a great place for finding independence in your career, whether you want to establish an innovative startup or build a company from the ground up. It is a wonderful place to live and work in. 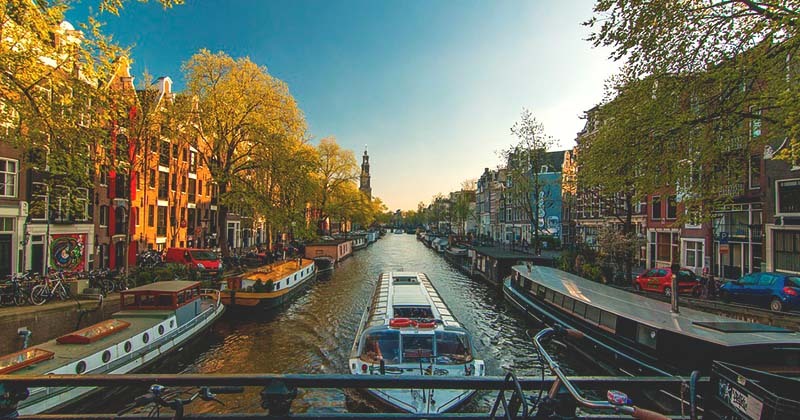 The city has a great quality of life, with the ubiquitous bikes making it easy to get around, an always-buzzing cultural life – and plenty of time to enjoy it all, as the Netherlands is famed for a good work-life balance and sets high standards in education, healthcare and family life.